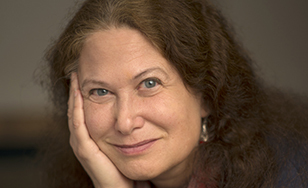 Poet Jane Hirshfield will give a free presentation at 7:30 p.m. Tuesday, March 5, in the Mitchell Auditorium on campus. Hirshfield's appearance is part of the Francis X. Shea Memorial Lecture series. Nationally recognized with a fellowship in the Academy of American Poets, the Guggenheim Foundation, the Rockefeller Foundation and the National Endowment for the Arts, she is a dedicated poet and translator of Japanese literature, and an ordained practitioner of Soto Zen Buddhism. Hirshfield has taught at the University of California-Berkeley and the University of San Francisco, and is the author of eight books on poetry, including "Ten Windows: How Great Poems Transform the World" and "The Ink Dark Moon." She has served as the 2013 Hellman Visiting Artist for the Neuroscience department of San Francisco's University of California, and organized the Poets For Science collection for 2017's Earth Day March for Science. Known for a philosophical take on our world that summons a rare pause in a fast-moving society, Hirshfield projects "a profound empathy for the suffering of all living beings," in the words of Polish Nobel Prize poet Czeslaw Milosz. Such a perspective is meant to bring a wholesome view into the new season, and to finally settle oneself into the new year. Hirshfield's lecture is free and open to the public.